About 6 months ago I sent my bike to a local bike shop for gearbox repairs, and they used genkem glue to re-assemble my engine.....instead of gaskits, AND, converted my tensioners to manual tensioners and snapped my cams :S SO, i had to replace my motor. This seems to be over fueling to me, I can smell fuel from the exhausts when I start her up, and no matter how i set the carb, it does the exact same thing. Anyone had this kind of issue, please can you help me out, I owe 30k on this bike still and really need to fix her :S I was really inlove with this bike, but now its just become a horrible ride I actually dont like riding it anymore due to this. I would start by checking your enrichment circuit (choke) lines really well. If they are not working properly or the little attachments were broken and are not seating properly, you may be running rich. If you have the tools to do a compression test, that can rule out a lot. (You can get a decent kit for around 30 bucks. Very helpful and you can use it on all of your vehicles). This can rule out valve, head gasket, and ring issues in your new motor. Also, this is probably not likely, but I re-routed my wires and blocked the airbox intake once and it had huge problems after 7k rpm. Is the timing 180 degrees out? Did you let the same shop put the new motor in? 7moore7 - I suspect the choke, will check this out again. The issue is coming in at 7k, so ill check the airbox aswell. Wicky - wouldnt timing cause serve idling issues, or really bad riding up to 7k? She climbs to 7k very quick, and smooth, but without the power she used to have. The second time, I threw a major fit, and had the insurance transport the bike 600km's to do the engine transplant......and cause they so far away :S I cant take it back, AND, since my insurance didnt want to cover the repairs, and i threw such a fit and made them cover, now they dont want to fix it again. Waynehammer - would it even get to 7k on one cylinder? She still wheelies, but not as well. Doesnt burn too hot, and gives spark on both cylinders. Oh, and a fairing kit......from the agents......R25 000 - thats around $3067.48 CRAZY!!!!! Last edited by acks; 02-06-2012 at 10:27 PM. From your description of the dealership, it seems like some of the places I have seen in south America and Africa. Which country is that? What currency is R? It's not Brazil, the numbers don't match... Is it South African Rand??? 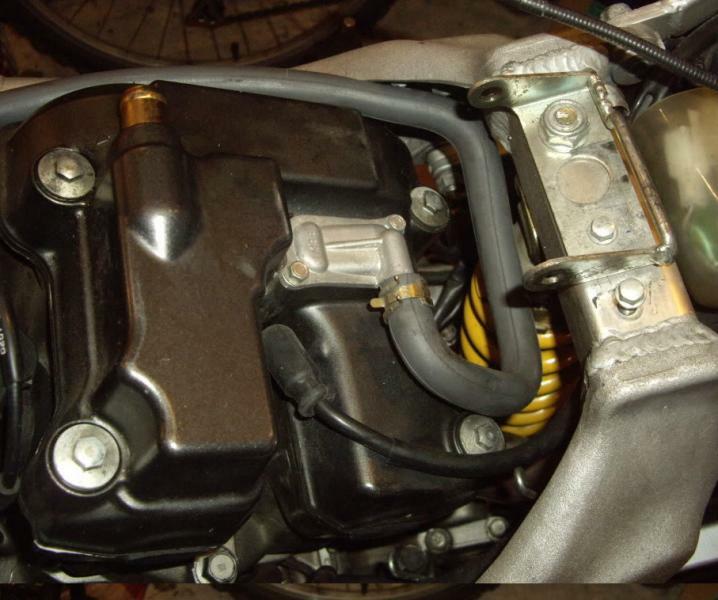 You definitively not burning all the fuel in the cylinders, either due to carbs or valves, the air box obstruction would have caused choking when you open in full. In any case, I agree with 7moore7, that would be the correct sequence to approach the problem, first rule out the most easier and cheaper, that for many, even mechanics it is not the most obvious choice. As others have suggested , work methodically through your various systems. Keep us updated on progress and the eventual solution. Well iv discovered ebay just bought a set of blade clutch and brake levers. Each month im going to try buy something else. Next its the headlight :S and while im saving for all the bits, Ill try sort out the darn motor. Wicky, seriously......I owe you a frikken beer!!!!!! OR A BLOODY CRATE!!!!!! It's a known problem when following the Haynes manual procedure for setting timing - Best use the Workshop knowledgebase article on setting up Manual CCTs. Careful with the alternator cover timing hex access caps - very soft & cheesey and invariably need careful drifting round with a hammer & drift. Stripped the bike, and checked out the cams.....honestly didnt expect to see so many marks.....however, everything seemed to be in place . FE pointing one side, and FI pointing the other, and all cams at the correct angles. When they did everything on my bike, they were supposed to service her and everything......I pulled out my air filter, AND SHE NOW REVS!!!!!!!!!! Yay! Good to hear progress has been made. Though getting a new OEM filter and biting the bullet, would be advised to achieve baseline performance, as the VTR is very fussy about air-filter/airbox changes (search for K&N filter threads) that need rejetting to keep up/improve the performance. When you have the airbox cover off, check the carb slides to make sure they move freely and that they don't just "snap" back. The diaphragms should prevent that by forcing air through a small orifice in the carbs. If they do snap back that means the diaphragm is probably torn. Also, did the filter ever get wet, or look like it got wet? Wet dirt turns into mud which blocks airflow. A heavy fuel smell from where? The exhaust? If it won't burn fuel above a certain rpm then that sounds like some sort of ignition problem to me...or the bike is jetted SUPER rich. What is the altitude where you live? Where did you buy the bike? Any prior history on it's life? I live in a city called Durban, its coastal. As far as I know, im the second owner, and the old owner didnt ride her hard. She has about 25000km on the clock, however, she now has a replacement motor, so i dont know the history on that engine. Bought the bike from a bike STEALERship here, bunch of morons. I use the bike everyday, to work and back. The diaphrams - When I push the carb sliders up, they slide back down, Not too fast though. If I get a chance ill take a video and link it here. Last edited by acks; 02-13-2012 at 04:12 AM. Found a new filter on ebay for 20 pounds ( around 10 pounds to ship here ) Ill prob end up buying this one. Just seen something and it worries me a little. On my rear Tappet cover - I have a section that looks like there is supposed to be something on there, however, there is nothing on there......any idea what it could be? 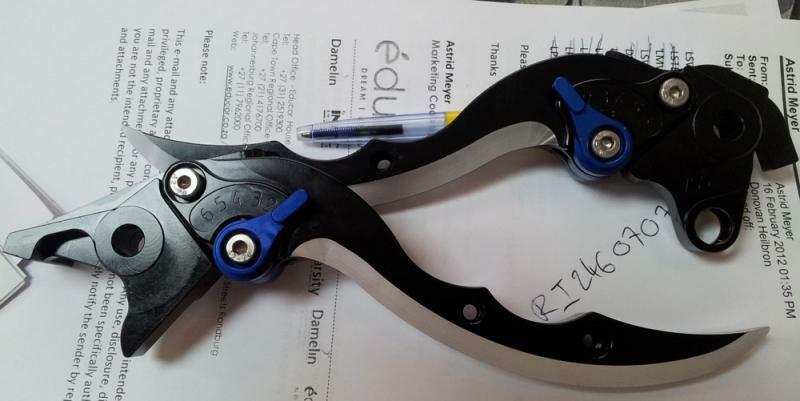 That is part of the PAIR system, it may have been removed from your bike, a common practice. I CANT WAIT TO PUT THEM ON!!!!!!!!!!!! ok, got digital versions of the service manuals on my computer....now im set to read up EVERYTHING! WRONG!!! There IS supposed to be something there. 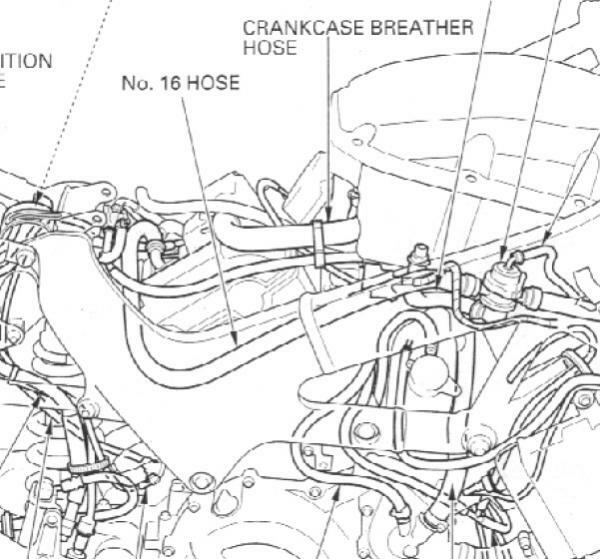 That's the crankcase breather port. There is supposed to be a molded hose that goes to the airbox. If you used the same carbs that were on your old motor then you should not be having a lean problem. The leanness is coming from somewhere else, maybe that missing hose, maybe carb boots, maybe a vacuum leak (cracked hose [rear] or missing port plug [front]).